Bigger brother of the Stubby - fun, easy to build model! Ideal for flying on any size field! Makes a great first or second rocket kit! Designed with the beginner in mind, but it's also a great sport flier for the more experienced modeler. 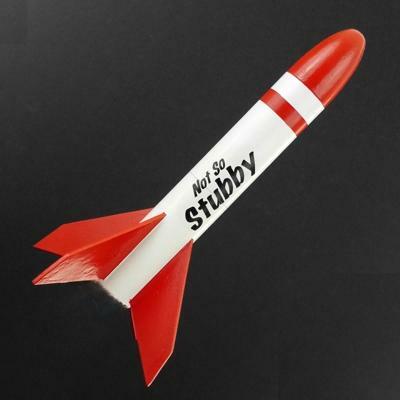 Features laser-cut balsa fins and balsa nose cone, quick change engine hook and bright parachute recovery. Designed to fly on easy to find 18 mm A, B or C engines.